Small Groups: Is Your Small Group Strategy Really Effective? A well-defined small group/Sunday School strategy provides the vehicle for the local church to carry out the Great Commission. Because it is so vital, it is imperative that all churches honestly evaluate their small groups by asking the question, "Is our small group strategy really effective?" Here are six questions you can use to evaluate the strength of your small group/Sunday school strategy. Is it a foundational strategy? — Foundational doesn't mean shallow or basic. It does mean strength that can be built upon. Even if you have multiple types of small groups, there has to be a solid foundational small group strategy in place that becomes a vehicle for implementing a foundational strategy. Is it an ongoing strategy? — Do your foundational groups meet consistently? Some may feel that this isn't important, but anytime a group stops meeting it loses momentum and focus. Consistency builds ongoing relationships with class members and prospects. Consistency keeps ongoing ministry, outreach, and fellowship maximized. Is it an evangelistic strategy? — Do you have foundational groups that are entry points for unbelievers and new believers? If you say you do but there aren't practices in place to facilitate the inclusion of unbelievers, new believers, or other guests then you really don't have a group strategy that promotes openness. Do your foundational groups expect the lost to attend? Do you lead your groups to look for ways to penetrate the community with the gospel? Is there a climate that encourages believers to invite, engage, and share Christ with the lost? Is it a Bible study focused strategy? — This seems so obvious but it must be asked. There are groups that have lost their focus on studying the Bible. They might study books by well-known authors, self-help books, or watch videos while relegating the Bible to a secondary position. Do your groups really focus on learning how to study the Bible or do they just use the Bible as another reference book? We must take seriously the content focus of our small groups if we truly believe the Bible can change lives. Is it a multiplication strategy? — Does your small group environment create opportunities for maturing members to serve? Does your small group strategy include goals for creating new groups so you can reach more people? Is it an intentional strategy? — None of what we have covered will take place without intentional planning, evaluation, and hard work. Are you being intentional at teaching all these elements to your small group leaders? Are you constantly communicating, tweaking, planning, and moving your small groups toward the accomplishment of new goals. Are you helping your leaders become passionately committed to the cause of reaching and discipling people through your small group strategy? Without intentionality you will only produce what you already have or less than what you already have. 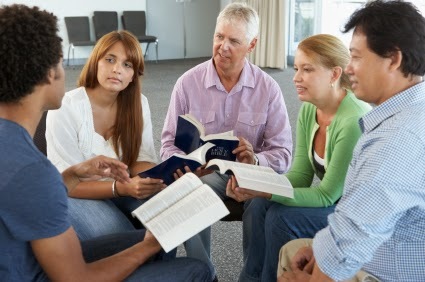 Most churches proudly state that they view their small groups or Sunday school groups as a vital part of their church. I have heard pastors state, if you only have one hour to give each week, give it to a small group. Other churches emphasize that their church is built around the strength of their small groups; yet, I have observed time and time again that this is simply not true. It is obvious by how few people are really connected to their small groups and how little attention the church staff truly gives to making it strategic. I hope you will use these six questions to make your small groups truly an integral strategic part of your church.